Project Dashboard – AAA Partnership Pvt. Ltd.
Procore construction project management software makes it easy to access any project in your portfolio from the drop-down menu. 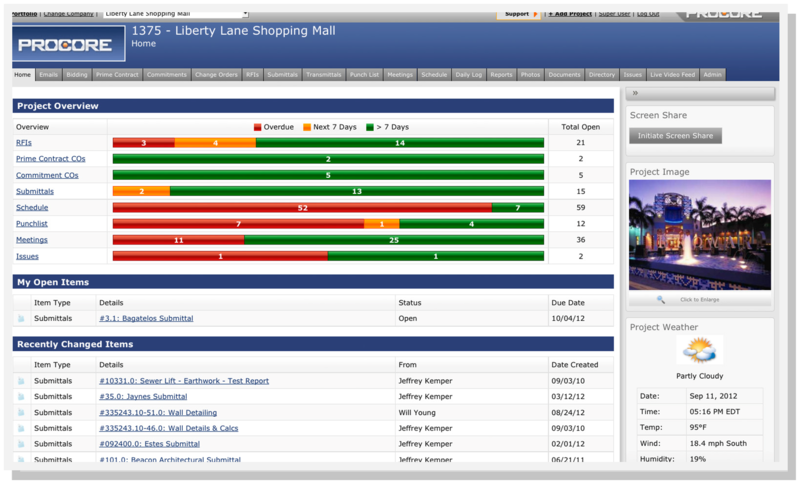 Procore's unique dashboard view lets you see up-to-the minute project status at a glance. Nothing falls through the cracks. Procore construction software constantly monitors every action performed by project team members. New information is tracked and displayed in real time. Procore's integration with MS Project and other project scheduling tools lets you see today's scheduled tasks at a glance.